Hello and Welcome to the Garden Tools Supplier! Hard to create and maintain your garden, indoors or out, without the right tools. This store contains your garden tool needs, from hand shovels to hose bibs to garden kneelers to composters; the things you need to get that garden started and looking great and bountiful all season long. For your convenience, each item has the manufacturer and distributor listed so you can be sure you are getting just what you are looking for. Also, there is a good possibility that the same item may appear more than once so you can do a little comparative shopping across teh various stores. If you do not see exactly what you are looking for, you can click on the name of the store and that will bring you to the store's website where you can then search on exactly what you are looking for. 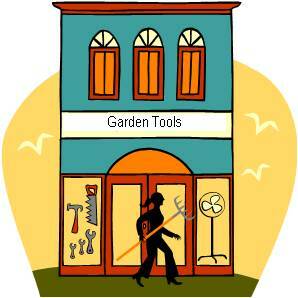 There are a wide variety of stores covering the various aspects for the Garden Tools Supplier. To give you an idea of who these various stores are, here is an overview. MasterGardening and Accents in the Garden focus on the gardening space. If you are looking for unique tools that only a garden center may have, they may be the best resource. Kalyx is similarly positioned, but more of an herbal remedies/natural health care store. They would be a good resource for all things unique to herbs. They do extend into the growing of herbs and not just the distribution of herbal remedies. Unbeatbale Sale is more a generalist site but do have a good selection of gardening related equipment and resources. Finally, there are two book stores that we have connected to the display below, Booksamillion and Indigo Books & Music, which can provide books for additional reference material as you go about setting up your indoor or outdoor garden. Check back often as we will try to adjust what is on hand based on what you tell us you are looking for. So please feel free to use the Contact Us page and tell us what's missing. The only way to make this the best it can be is with your input. Not the stuff you are looking for? Looking more for garden supplies perhaps? Well you might want to check out the Garden Supplies Centre, which has a broad range of garden supplies, ornaments and other gardening needs.